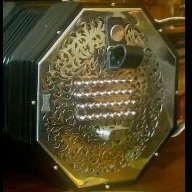 How Should I Hold A Concertina? English Little Finger - Top Tips For Training? How Much Elbow Movement Is Needed To Play?